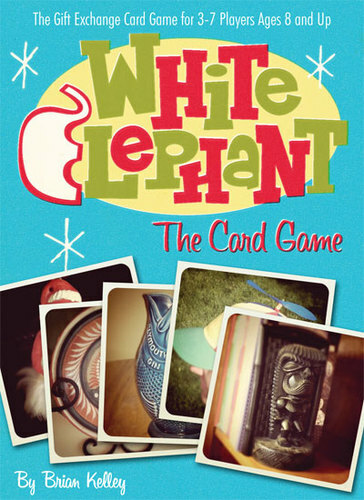 The classic White Elephant gift exchange is now simulated in this classic holiday game. It's the classic cheapskate dilemma...you have three people on your Christmas list and an aversion to opening your pocketbook. Luckily you will be attending several White Elephant gift exchange parties where, if you "play your cards right," you can swap some junk you found in the attic for re-giftable treasures. Viola! You fill your gift list for free - the ultimate cheapskate victory. Great Uncle Irwin may just be getting that Fish Pitcher that gurgles when you pour! 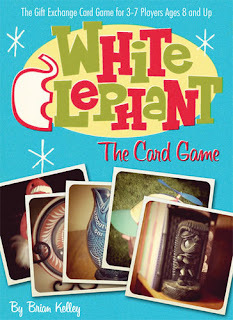 Come in for this great holiday game and others at Off The Charts Games. We are located in Historic Downtown Gresham at 30 NW 2nd Street.